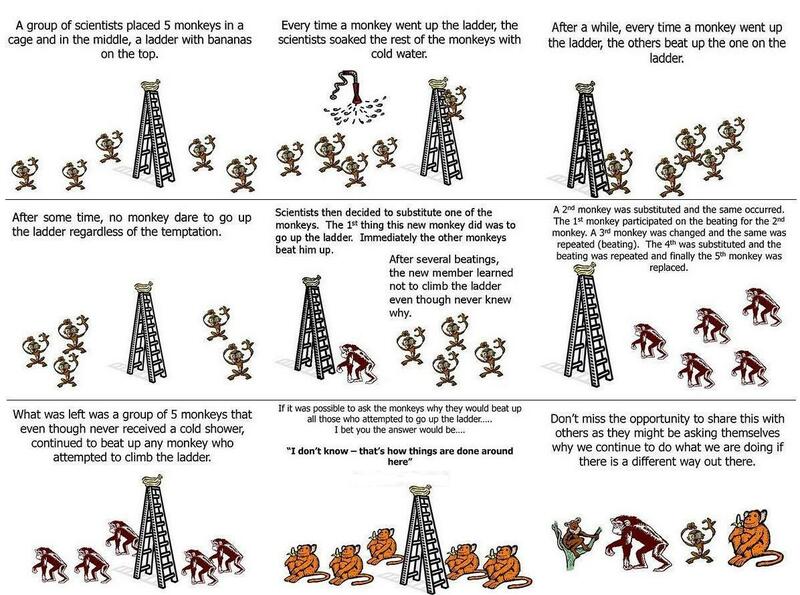 Although this cartoon shouldn’t have any scientific pretensions, it seems nevertheless inspired by an experiment carried out in the late sixties by Gordon R. Stephenson (Stephenson, G. R. (1967), Cultural Acquisition of a Specific Learned Response Among Rhesus Monkeys – In: Starek, D., Schneider, R., and Kuhn, H. J. (eds. ), Progress in Primatology, Stuttgart: Fischer, pp. 279-288).